Nate joined Watsi on May 26th, 2014. 16 other people also joined Watsi on that day! Nate's most recent donation traveled 8,900 miles to support Yibekal, a hopeful 12-year-old student from Ethiopia, to repair a congenital malformation. Nate has funded healthcare for 2 patients in 2 countries. 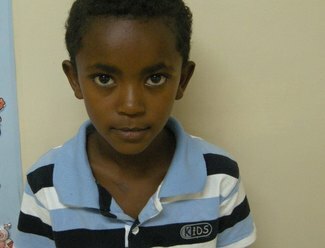 “I hope the donors assist me to have this surgery,” shares Yibekal, a 12-year-old boy from Ethiopia. Yibekal enjoys listening to music when not in school. Yibekal was born with an anorectal malformation, making it challenging for him to go to the bathroom normally. “Yibekal uses a colostomy to pass stool which leaves him susceptible to infections,” says our medical partner, African Mission Healthcare Foundation. “If the surgery is not done, Yibekal could suffer distension and obstruction of the intestines.” $1,500 covers the cost of the treatment and allows Yibekal to return to school with his friends. Together we can give Yibekal access to the care he needs so he can live a normal happy and healthy life! Meet Estefany, a delightful, rosy-cheeked girl from Gutemala. Estefany's parents went to our partner organization, Wuqu' Kawoq, for help because they were worried about their three-year-old daughter. 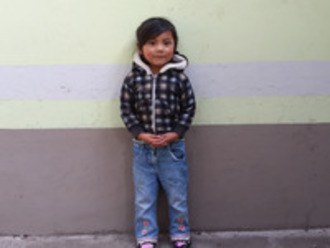 Estefany was born with a small inguinal hernia that has recently grown rapidly, causing her pain. Her doctors say there is a risk that the hernia will strangulate, leading to a life threatening loss of blood flow to her intestines. The surgery to repair the hernia and protect Estefany from pain and future complications costs $455. Let's show her parents our support and help Estefany grow strong and healthy!